Yippee! It’s that time of the year again! That time when the weather is enough reminder and our blankets and sweaters get bear-hugs, a time when we remember that a distant relative is still alive, the time when we know who really loves us by the text messages, calls and gifts we get, a time when kids get to meet “Uncle-in-a-red-costume” and can freely pollute the air with the noise of knock-outs, a time when our houses finally get a make-over, that time of the year when Nigerian business men and women decide that everyone is richer, so commodities should get a hike (right? ), that time when the years’ days are numbered, the time when we all take a break from the years’ roller-coaster ride, when laxatives are never short in our bags and pockets, a time when we can comfortably lavish our naira bills because we really don’t care and actually have excuses to do so, that very time when churches can record impressive attendants and our piggy banks receive the right to be broken. Ah, yes it is that time again. 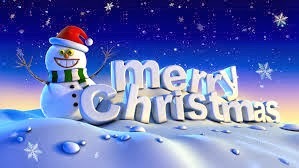 CHRISTMAS!! Yeah, it’s that time. But, hold up a sec. Before we get carried away by the whole Christmas excitement. Can we pause for a minute to ponder on; why Christmas? The wise men, according to the gospel account of Matthew, were people in a desperate search. They had spotted the star of the Messiah and so had decided to embark on the journey from the East to locate the “King of the Jews”. Well, luckily for them, they were able to trace the star to Jerusalem where the King Herod gave them go-ahead to search for the baby. The star finally brought them to a stop directly in front of a barn, where the baby “King” had landed squarely in a pile of hay in the manger (a long open box that horses and cows eat from! – according to the Oxford dictionary), amidst brays and moos because there was no room for him in the inn. They could take a breather for their search was finally up. Phew! In a field nearby, while shepherds watched their flock by night, the angel of God delivered a good news to them, Christ had been born! And guess what? That’s the same good tidings I bring to you… The Messiah has been born! The wise men knew this and they sought him with all they had. “Here I am! I stand at the door of your heart and knock. If anyone hears my voice and opens the door, I will come in and eat with him, and he with me.” (Jesus, in Revelation 3:20). 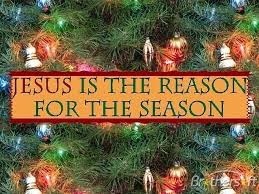 And this is the essence of Christmas, to celebrate the purpose of the birth of the Messiah king. Not a time to go bankrupt, or a time to do all the wild things you couldn’t do all year, neither is it a time to just eat and drink with no purpose. But a time of reflection on why Jesus was born. That is, to save the world by bringing salvation to all who believe in Him. 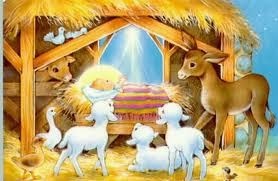 God did the unthinkable and gave us the greatest gift we could ever imagine; Himself! What are we going to give him in return? What’s your gift to God this Christmas? Your life. Not just in salvation, but in total consecration and surrender to Him. Seek Him in all you do and tell the good tidings out loud to all who care – or don’t care - to listen! 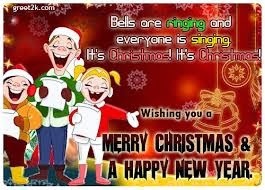 Have yourself a happy Christmas and a merry New Year in advance! Side note: This doesn’t mean y’all who owe me chicken and gifts are home free o! Don’t dare use this as an excuse not to give me what’s due to me*winks*. But really, you guys should do everything in moderation; be safe, drive safely, don’t drink and drive (no, not even water). You’re more than the world. God will watch over you and your family this season.